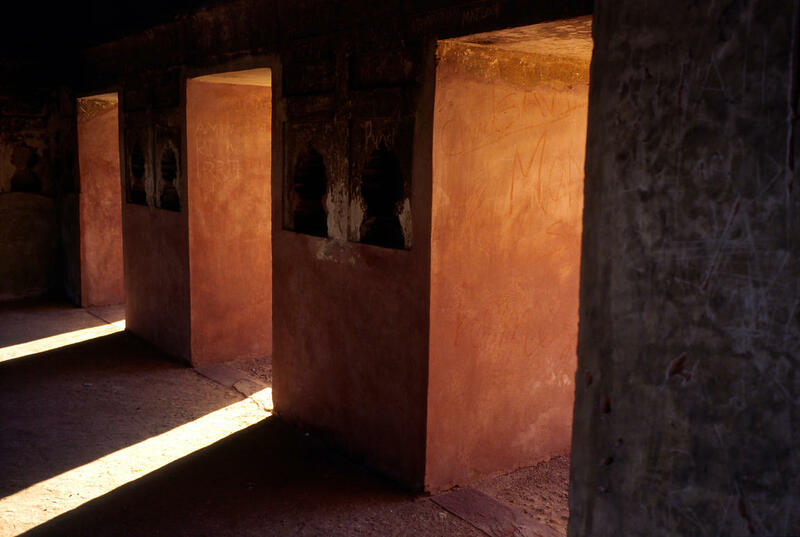 Shafts of light in a building in the grounds of Humayun's tomb, New Delhi, India.The tomb itself built in 1570, is of particular cultural significance as it was the first garden tomb on the Indian subcontinent. It inspired several major architectural innovations, culminating in the construction of the Taj Mahal. A good eal of Delhi's monuments, though officially protected are defaced by graffitti.